It's the issue that just doesn't go away. No matter how far down in your bag you shove that folder of papers, they'll still be there. No matter how nice you get your office looking "so you can work better," they just don't go away. No matter how much you hope that grading at a coffee shop or with a box of chocolates at your side will make it fun, it really doesn't. Grading is hard. And it's not the reason any of us went into teaching. 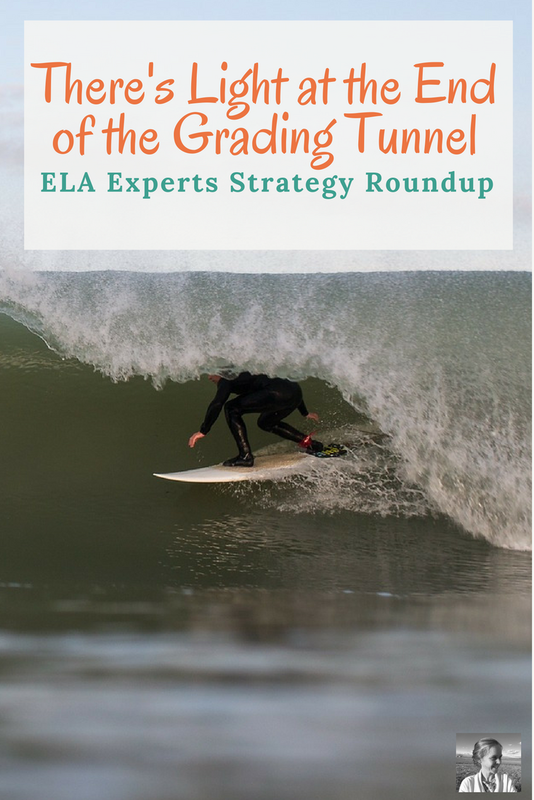 That's why I've rounded up some great ideas from fellow ELA bloggers to give you a helping hand. 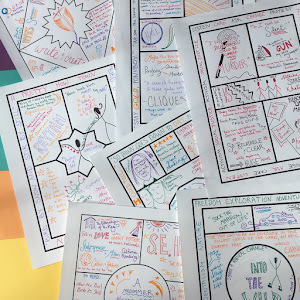 If you can minimize the amount you grade and maximize the effectiveness of your feedback, you'll be giving yourself the best possible chance to focus your attention on creative teaching and connecting with your students. Emily Aierstock of "Read it. Write it. Learn it." shares her process for highlighting student errors in themed colors, identifying their "rock star moments," and letting them figure out how to solve their issue with partners. 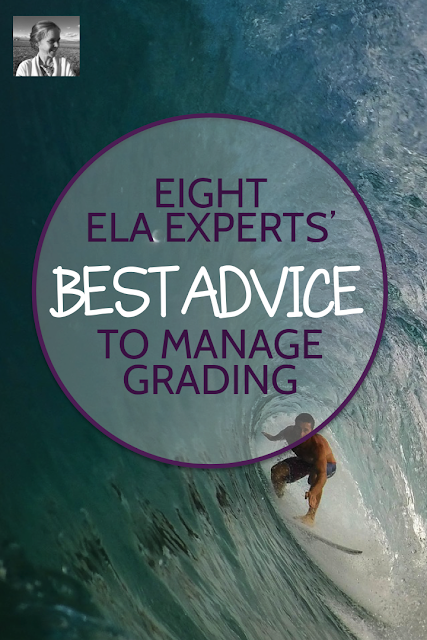 I shared my favorite strategy in my post about grading from a common errors list. Discover how I avoid repeating the same comments over and over and over and over and over. I love Secondary Sara's deep dive into 25 Ways to Make Grading Less Painful. Especially when she compares the process of grading to the seven stages of grief! You're definitely going to find at least one, if not twenty-five, usable tips in this post. Laura Randazzo has a lot of great strategies for avoiding grading overwhelm. Here's the first in her series of four videos to help you make life oh so much easier. Louden Clear in Education offers some clear advice on guiding students to really read and understand your feedback, which, in the end, can save you a lot of time on marking the same issues over and over. 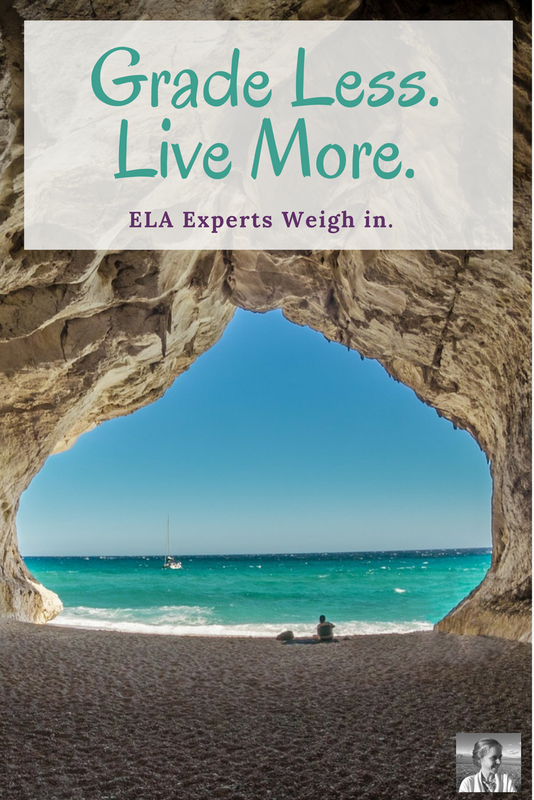 Melissa Kruse of Reading and Writing Haven has an extensive list of strong ideas for saving time. My favorite is to have students choose one best paragraph or piece for you to grade if they've demonstrated the same skill multiple times. Why write the same comments over and over, if you could just write them on the student's very best work? Hello Teacher Lady shares her strategy for cutting grading through the use of digital tools Doctopus and Goobric. 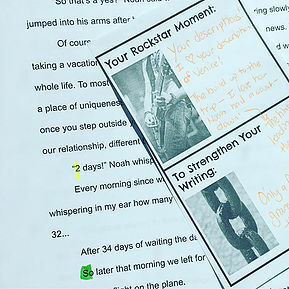 If the names of those tools don't already have you dying to find out more, consider that Teacher Lady reveals a way to grade with a digital rubric overlaid onto student work, cutting the need for any pen and paper at all. She calls it a game changer, and if you enjoy working with tech, you'll probably agree! Meredith Dobbs makes a strong case that we all aim for improvement, not perfection, in her article on assessment for Teachwriting.org. She recommends avoiding "the red pen of death," and focusing instead on helping students improve one or two things about their writing each time they have an assignment. Imagine how much easier it would be to comment on one thing instead of EVERYthing! If you try some of the tips presented here, I have no doubt you'll soon find the load at least a bit more manageable. And every bit counts! The more time you can spend on the parts of teaching that you love, and the more you feel that your hard work grading is really making a difference to your students, the more fulfilled you will be as a teacher.